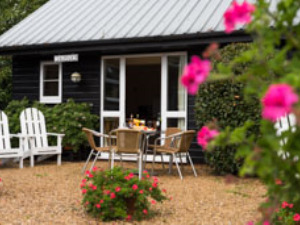 Clippesby Hall Self Catering01493 367800work01493 367809fax Self-cateringClippesby Hall near Great Yarmouth is an independent, family run holiday park situated in the Norfolk Broads. As a member of the family of 15 National Parks in Britain, the Broads is a special place. Here at Clippesby Hall, we are perfectly placed to help you relax and explore the many delights of this wonderful area, as well as the varied beaches of the Norfolk coast and the history and heritage of Norwich and Great Yarmouth. Clippesby Hall’s holiday cottages and lodges offer a unique Norfolk Broads holiday experience. Located in the Broads National Park, our holiday cottages offer a range of self catering accommodation options, with 1, 2, 3 and 4 bedroom options. Great for families and couples. Clippesby Hall is a wonderful base to explore the best of Norfolk. If you are looking for Norfolk holiday cottages or Norfolk Broads accommodation, we think Clippesby Hall has something very special to offer. Nationally acclaimed as one of the best places to stay in Norfolk, we welcome walkers, cyclists, birdwatchers and beach lovers as well as those just looking to relax and enjoy the unique Clippesby atmosphere. Set in the heart of the Broads National Park, which is well-known for its meandering waterways and quiet country lanes. Clippesby is surrounded by nature reserves with seaside and tourist attractions nearby. It's a great holiday area with lots of things to do ranging from cycling, walking, boating, horse riding, golf, bird-watching and sightseeing to shopping. Clippesby Hall near Great Yarmouth is an independent, family run holiday park situated in the Norfolk Broads. As a member of the family of 15 National Parks in Britain, the Broads is a special place. Here at Clippesby Hall, we are perfectly placed to help you relax and explore the many delights of this wonderful area, as well as the varied beaches of the Norfolk coast and the history and heritage of Norwich and Great Yarmouth. From the Norwich southern bypass the A47, follow white on brown tourist signs to the Broads. At Acle roundabout take A1064 (Caister-on-Sea road) & after crossing Acle Bridge - 1 1/2 miles - take 1st left onto B1152 (Martham Road) turn left opposite village marker & 400 yards turn right at the Clippesby Hall sign (lit at night). From Acle railway station there is a footpath into Acle (a small market town) which is unlit at night. There is a telephone box in the street between the Kings Head public house & the public toilets. Clippesby is 3 miles from here by way of A1064. Taxi telephone (01493) 752223.